Head coach Katie Goldhahn was a member of the Stanford women's volleyball team from 2002-2006 where she won a national championship in 2004, was runner-up in 2002, and captained her team in 2005. She also received Pac-10 All-Academic Women's Honorable Mention in 2002, 2003, 2004, and 2005. 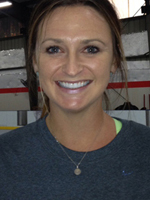 Katie served as an assistant coach for San Jose State University where she also taught in the kinesiology department and she coached numerous prestigious club volleyball programs in the Bay Area. Most recently, Katie co-founded a new club program, Pacific Coast Volleyball Club in her hometown of Lodi, California. Katie has achieved great success coaching at the club level taking multiple teams to the USAVB Junior National Championships and AAU Championships. She has also coached and taught at Modesto Christian and Excel Academy and the San Joaquin County Office of Education. "I am humbled to be given this opportunity to work at CSM amongst such talented administration, staff, and coaches. Being able to build a program is a rarity, I'm thrilled to begin. I look forward to connecting with my Bay Area volleyball friends, mentors and fellow coaches, and am committed to finding the best talent in the area to be a part of this special program at CSM. My philosophy is simple: create a hard-working, prideful program by developing young women on the court, in the classroom, and beyond. My student-athletes will leave the Bulldog program knowing the values they learn here will also equip them for life after college." Allison was born and raised in Post Falls, Idaho. She attended North Idaho College and played two seasons under coaches Kandice Gregorak and Miles Kydd. While at NIC, Allison lead the team to a 7th place finish at the NJCAA tournament in 2015. She was recruited to San Jose State University as an indoor setter by Coaches Jolene and Aaron Shepardson. 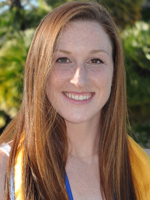 While at SJSU, Allison had the opportunity to compete on the beach volleyball team, as well. She ended up falling in love with the sport and decided to use her 5th year of eligibility to play beach volleyball at SJSU. Allison competed on the number 1 team in 2017, boasting wins against top-ranked teams such as Stanford, Cal and Pacific. Allison will graduate this Spring with a Master's Degree in Kinesiology with a concentration in Sport Management, and she hopes to continue playing in CBVA, AVPNext, and AVP qualifiers this summer. As a coach, Allison began her career 5 years ago at Post Falls Volleyball Club, where she coached both U-13 and U-16 indoor girls teams. Allison is also a lead coach at Sandlegs Beach Volleyball Club, one of the few beach-only volleyball clubs in Northern California. She has been coaching at Sandlegs for 3 years and has coached in numerous youth beach volleyball events including CBVA Tour Stops, AAU Beach Nationals, and AVPFirst events. She is so excited for how far the sport of beach volleyball has come in the last few years, and can't wait to see where it goes in the future! 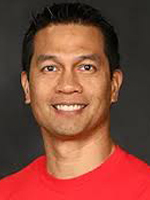 Anthony is in his second year coaching with the CSM Women's Volleyball Program. 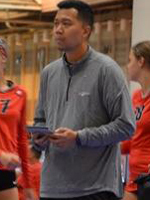 In 2015, Anthony helped lead the Foothill College Women's Beach Inaugural season as an assistant. In 2017, Anthony help establish the first AVP Norcal Academy in Redwood City, California.